We encourage the learning of quilting and sewing. “We Care” quilts are made by our guild members and distributed as needed to several groups throughout the Abbotsford area, such as Abbotsford Hospital Special Needs nursery, Victim Services, Peardonville House and the Women & Children’s Shelter. A quilt is also donated each year to the city’s New Year’s baby. Part of Abbotsford Quilters Community Service is that we encourage the learning of quilting and sewing, therefore we also sponsor a Bursary to the New Beginnings Program. Materials for quilt tops, as well as batting and backing are available as needed, and work bees are held periodically, while a We Care challenge is offered during the summer break. We Care also provides display quilts for community events, when necessary. As of May 2014, 312 quilts were donated during the past 12 months. 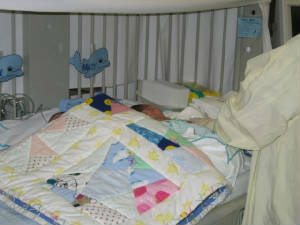 At present, we have on hand 36 preemie size quilts and 171 larger quilts. 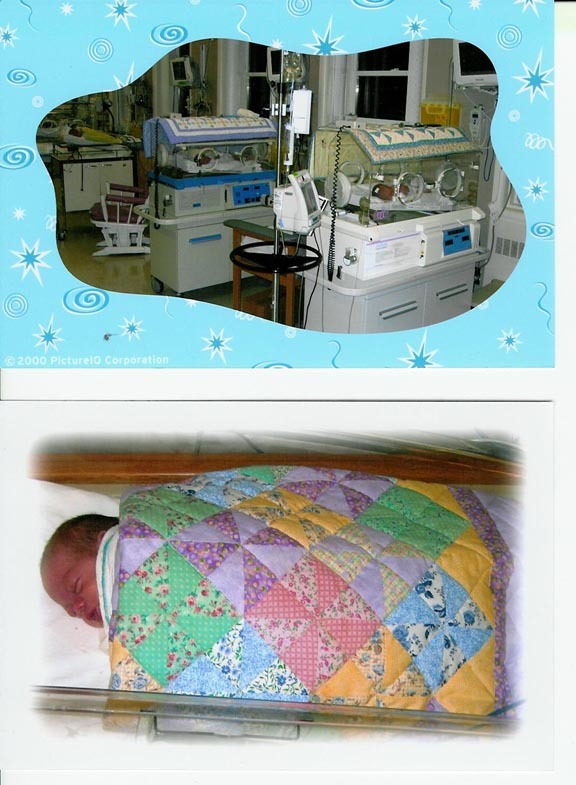 Preemie quilts for the Abbotsford Regional Hospital (Neonatal Unit) should be 30″ x 36″, flannelette backed, quilted by hand or machine, no ties and no mono-filament threads. Transition House (women’s shelter) and Victims’ Services should be 40″ x 50″ approx. New Beginnings Program, Abbotsford – quilts for the children of teenage parents completing their high school education – should be 40″ x 50″ approx., no ties and no mono-filament threads. All quilts must have a label attached (available from WE CARE committee). Batting and backing are available; call Harriet - 604-856-3398. Peardonville House provides recovery and treatment services for women and children (ages 19 and up.) Since the beginning in 1987, they have provided addiction recovery and treatment services for over 2000 women and children. For the past four years members of the Abbotsford Quilters’Guild have provided volunteers to teach and assist these women with simple sewing projects such as small quilts, tote bags, cosmetic bags, tote bags and Christmas Stockings. We meet every Wednesday morning 9:00 am to 11:30 am. Peardonville House is located at 825 Peardonville Road, Abbotsford. This project is strictly run by volunteers and donations of items such as batting, mats, cutting blades, thread and monetary donations. Most importantly we need VOLUNTEERS to come out and help. You do not have to commit yourself to every Wednesday morning, come out as many times as you can. Coordinator for this project is Julie Schellenberg. For more information please give her a call at 604-856-4825 or e-mail dalesch@shaw.ca, or she would be glad to talk with you at the guild meeting.